About the year 2037 A.D., the Seal of the Living God (Rev. 7) will be given to select members of the Church. Those who bear the Seal of God will be protected from the remaining afflictions which are to follow (cf. Ezek 9:4-6) during the first part of the tribulation. This is the first of two occasions when God will give His Seal to select faithful persons. The second occasion occurs centuries later, about the time of the second part of the tribulation (early 25th century). Prior to World War 4, only the Angelic Shepherd (Pope Raphael/Fr. Zlatko Sudac) and the great Catholic monarch receive the Seal of the Living God described in chapter 7 of the Book of Revelation. But at this time, at or near the end of this Great War, all those who are to receive the Seal during the first part of the tribulation are given the Seal. The Seal is given out by Angels sent by God in answer to the prayer of the Pope (the Angelic Shepherd/Pope Raphael). This prayer of his is public, not private; it is announced to the whole world, so that everyone will know that the one true Church is the holy Catholic Church, with the Pope as its visible head on earth, and that the Catholic Faith is the most perfect religion. 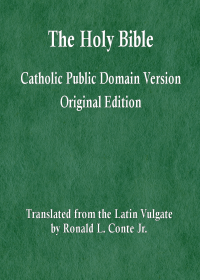 Those who are sealed include holy and humble Catholics throughout the world, including: Christians in the East, persons who converted to Catholicism from Protestantism, persons who have been hidden in obscurity, persons who have been ridiculed by the world, persons who have been rejected by some of the leaders of the Church, various men, women, and some children from all walks of life, mostly lay persons but also some Bishops, priests, and deacons, and some men and women religious. The external sign of the Seal will be a miraculous symbol of a Cross on the forehead. This may vary somewhat from one person to another. Accompanying the external symbol is inner spiritual gifts, primarily the gift to be able to avoid all personal sin, from that point in time forward, despite having been conceived and born with original sin, and despite still having concupiscence. In addition, these persons will have a variety of spiritual gifts, differing from one person to another, and they will be very strong in prayer, such that nearly whatever they pray for, they will obtain. They will be able to work miracles by prayer. They will understand the teaching of the Church very well. The purpose of sealing these persons throughout the world at this point in time is to give the world and the Church leaders selected by God, at the request of the Pope, to help guide the Church during the next set of sufferings, and also during the time of peace and holiness after the first part of the tribulation. Those who have the Seal will be generally immune to harm from the subsequent afflictions, although they can die and they can suffer; they have not yet been resurrected from the dead; they are still mortal human beings. These persons will have the task of guiding the Church and the world. The Cardinals, Bishops, priests, deacons, and religious will still retain their respective roles, even if they do not have the Seal. There will still be roles for laypersons in the Church who do not have the Seal. But those with the Seal will provide special guidance, because they will be free from personal sin, and because they will have many spiritual gifts, including wisdom and knowledge of true Catholic teaching. They will be able to settle disputes on matters of faith and morals, and on matters of prudential judgment. They will not undermine the Bishops, but will support and advise them, at the behest of the Pope. Those with the Seal will not undermine the priests, deacons, and religious, but will support and advise them, at the behest of the Pope. They will teach, very widely, the true teachings of the Catholic Faith. This teaching prepares for the great success that the Church will have after the Three Days of Darkness in preaching the Gospel. Such is the wisdom and plan of God. The number of persons sealed is unknown. The figure given in the Book of Revelation is 144,000; but that is a symbolic number, referring to the entire Church throughout the world, to persons of every nation, language, culture, and walk of life. The vast majority of persons sealed will be Catholic Christians, but perhaps some devout Jews and Muslims might also be sealed. Will any Protestants be given the Seal of the Living God? There will be no Protestants at that point in time. 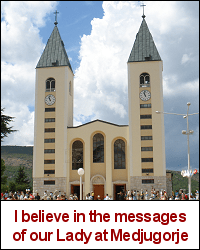 All Christians will be united in one holy Catholic Church, with seven parts, in the early 2020’s. Thereafter, all Christians will be Catholic Christians. This unification will be controversial, but it will be approved by the great Ecumenical Council held from mid-2028 to late 2032. Soon after that Ecumenical Council begins, the Pope who called the Council will die, and the Angelic Shepherd will be elected as his successor. He will reign over that great Council, which will define many formal dogmas and correct many grave doctrinal errors on faith and morals. The above post is adapted from material in my book, The First Part of the Tribulation, available at Amazon.com in Kindle format and as a paperback book.